And of course, our video for the week, found on our new YouTube channel! Noted by International Magazine as a rare combination of a good painter and a creative teacher, Paul George will be found here in Greenville this July instructing a three-day workshop on Watercolor Landscapes & Still Life. 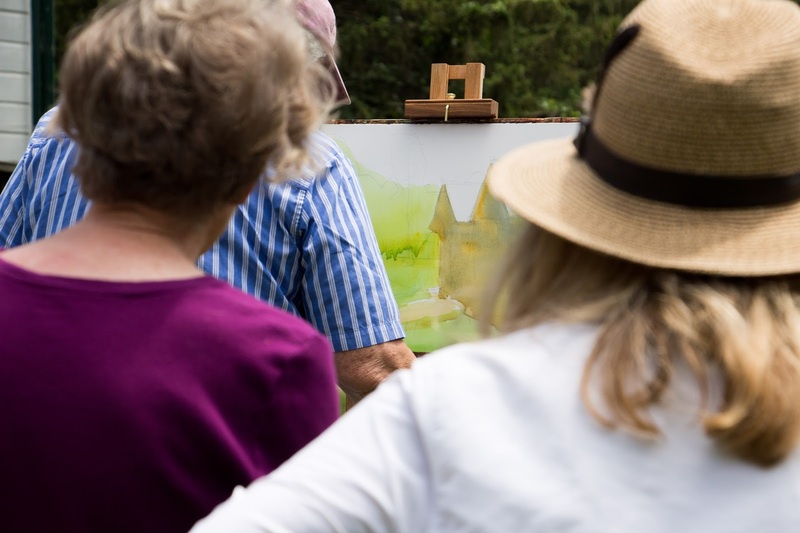 We highly recommend this workshop for both beginners and experienced painters and there are still a few spots left! Before his workshop, Paul took the time to answer a few questions about his approach to art. PG: Inspire my feelings and emotions in the viewer. PG: Yes, I think as with most artists, I have become looser and more confident and that shows as changes in your style and handling of subjects. PG: I base my pricing on experience. I have been painting and selling for over twenty years, so I have a good idea from experience in the market place what my pricing should be. I have a base price for size, for example; a 11″x14″ watercolor, I base at $500. But if a certain painting is exceptional in quality I may double or even triple that price. Or if I feel it is slightly below what I want in quality, I may sell it for less. Pricing also depends if I am selling the painting myself or through a gallery and their commission structure. 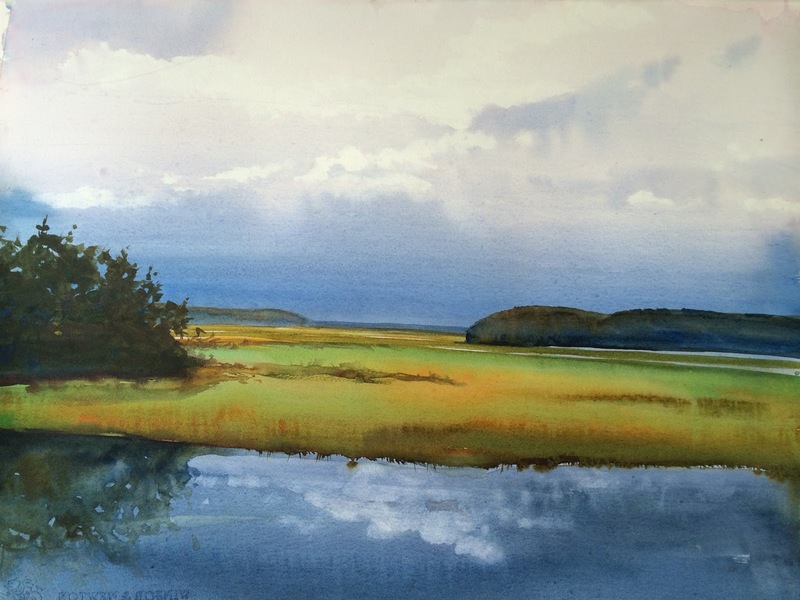 PG: Lots of shows coming up during Summer; Art Associations, Mystic Seaport Gallery, Hudson Valley AA, and Lyme AA. Learn more about Paul’s workshop with us here. Learn more about Paul on his website. 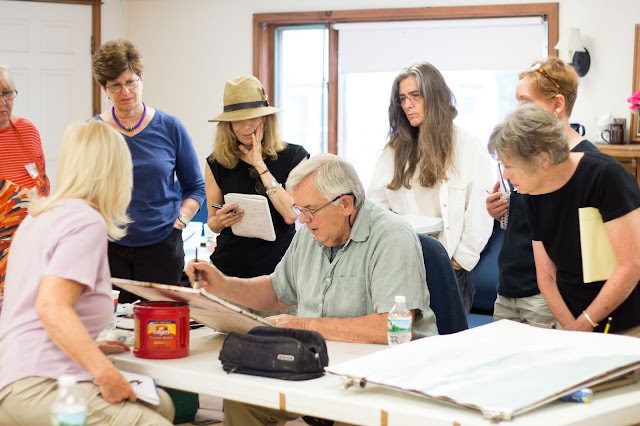 New England watercolor artist, Paul George recently was here teaching a 3-day workshop to a happy and eager group of students. Each day the group spent the morning painting outside around the Greenville Arms 1889 Inn (where the workshops are hosted). The pool was recently opened and it made a lovely spot to set up an easel and paint. 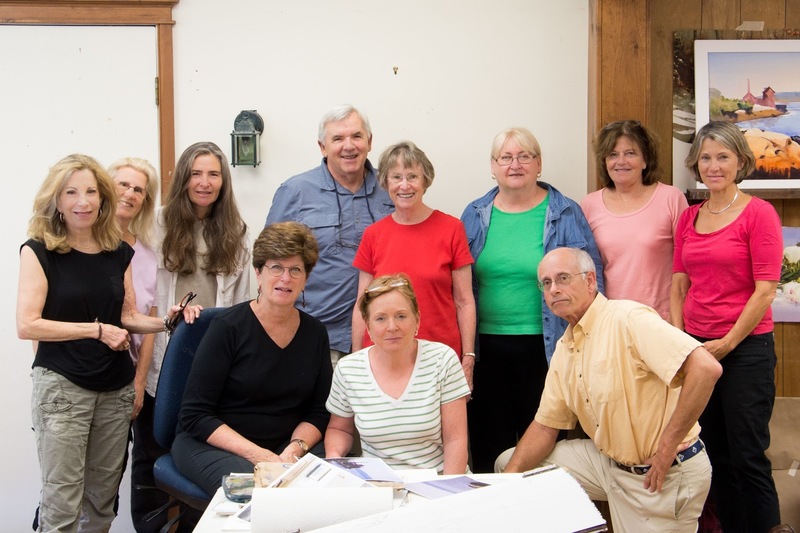 In the afternoons, the class went back into the air-conditioned studio to work. They may have had to drive through torrential rains, but nothing was going to stop these artists from getting to the 3-day workshop with Paul George! Luckily once here, the sun came out and it has been a beautiful weekend. This afternoon, Paul took everyone outside to our parking lot to do a demo painting of the back of the main building of the Greenville Arms 1889 Inn (home of the Hudson River Valley Art Workshops). He started with filling in the large shapes. Then added the larger details. After the demo, the students had the choice of painting outside around the inn or going back to the studio to paint. The workshop day was finished with a group critique.